Twilight Language: The Black Pope? 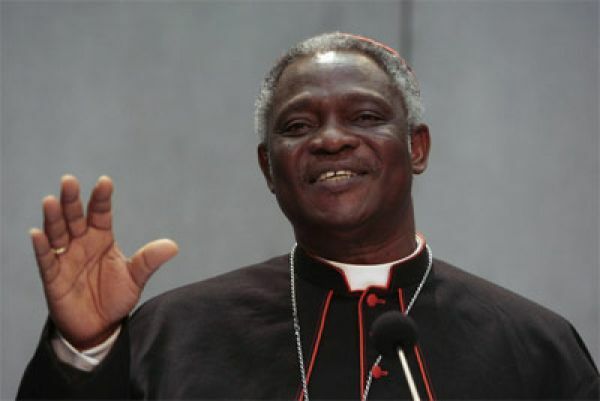 Will the new Pope be Ghanaian Cardinal Peter Turkson? Turkson was born on October 11, 1948, in Wassaw Nsuta, Western Ghana, to a Methodist mother and a Catholic father. He studied at St Teresa’s Seminary in the village of Amisano and Pedu, eventually getting a Bachelor’s degree in theology at St. Anthony-on-Hudson Seminary in Rensselaer, New York. 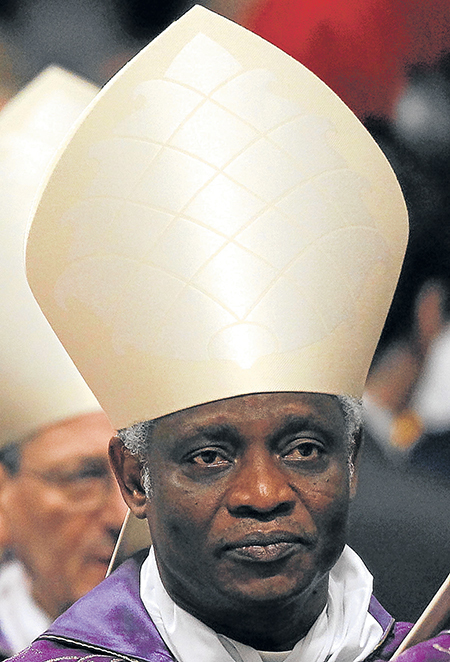 On October 24, 2009, Pope Benedict XVI appointed Turkson President of the Pontifical Council for Justice and Peace. 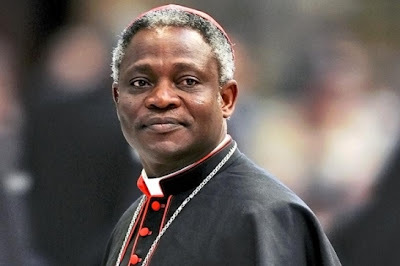 In October 2011 Cardinal Turkson called for the establishment of a “global public authority” and a “central world bank” to rule over financial institutions that have become outdated and often ineffective in dealing fairly with crises. Turkson is able to speak English, Fante, French, Italian, German, and Hebrew, in addition to understanding Latin and Greek. Cardinal Turkson has said that "if God would wish to see a black man also as pope, thanks be to God." The Catholic Church chronicler Rocco Palmo called Turkson the lone Scripture scholar in the Pope's "Senate" and believes that his status as a potential "papabile" (potential successor) has been elevated due to his appointment as spokesman for Second Synod for Africa in 2009. With the resignation of Pope Benedict XVI in 2013, Turkson is seen as a papabile in the upcoming papal conclave. 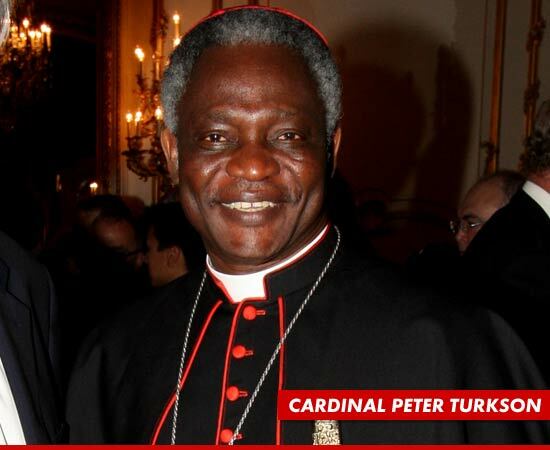 Turkson also joined Twitter in February 2013 @TurksonCardinal, according to a spokesperson to the Cardinal. His motto is Vivere Christus est. “Vivere Christus est” (“To live is Christ”) is a Latin phrase from St. Paul 's Letter to the Philippians. 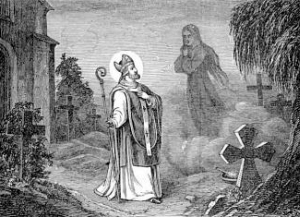 According to Bishop Malachy's visions and prophecies, there does appear to be a good indication the next Pope will have something to do with the name "Peter." See my long discussion on that topic by clicking here. If Peter Turkson ("the Rock of the Church" + "son of a Turk") does not become the Pope, another black Cardinal has also been mentioned. 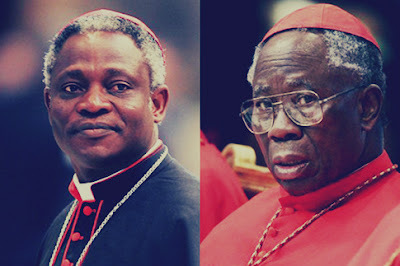 Nigeria's Cardinal Francis Arinze (on the right) is also considered a strong candidate. Arinze means "by the grace, wisdom and power of God." The name bearer is "a gift from God." That would make Madonna's video of her song "Like A Prayer" quite synchromystic as the black priest unlocked from behind the bars of the church does look a little bit like Turkson,don't you think ? A least the statue does anyway. According to the Nostradamus expert John Hogue, he believes the next pope will be the Camerleno himself, Benedict's former secretary, Cardinal Tarcisio Pietro Evasio Berlone. But with Cardinal Tarcisio Pietro Evasio Berlone, the fact is going to be 79 this year probably would work against him. Wow. Pope Francis 1 was chosen just moments ago and already woki has a web page up. I was wrong about Berlone winning, but for once I am very pleased. St. Francis of Assisi os the patron saint of animals. This is a good omen and a wonderful, lovely, and long-awaited name for a pope to take -- Pope Francis 1. I am well pleased. Pope Francis is the church's first Latin American pontiff. He is also the first Jesuit.
" The Society of Jesus (Latin: Societas Iesu, S.J., SJ or SI) is a Christian male religious order of the Roman Catholic Church. The members are called Jesuits and are also known colloquially as "God's Marines", these being references to founder Ignatius of Loyola's military background and members' willingness to accept orders anywhere in the world and live in extreme conditions "
" Contemporary critics of the Society of Jesus include Jack Chick, Avro Manhattan, Alberto Rivera, and Malachi Martin, author of The Jesuits: The Society of Jesus and the Betrayal of the Roman Catholic Church (1987) "